Larysa Voznytska questions the loss of old editions. The former director of the Lviv National Art Gallery Larysa Voznytska said that in the summer of 2016 the entire collection of old books (including the missing) was in place. "In summer, the entire collection was in place," told reporters in Lviv on 5 January. Voznytska said she intended to render every assistance to law enforcement authorities in the ensuing probe. She said she believed the current director of the gallery Taras Vozniak should be suspended for the duration of the investigation. 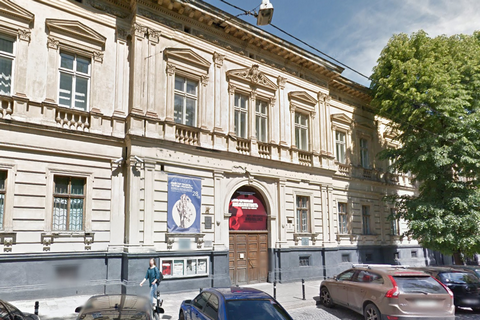 On 4 January, the director of the Lviv Art Gallery Vozniak reported the disappearance of 95 unique antique editions from the gallery. According to him the museum "has been was plundered for decades." The cost of stolen antique books on the "black market" could run into tens of millions of dollars. Lviv Art Gallery, established in 1907, is considered one of the richest museums in Ukraine. Its collections account for 62 thousand works of world and national art. The structure of the gallery includes 16 museum complexes, and some small museums such as the Rusalka Dnistrova, Ivan Vyhovsky museum, the reserve museums in Zhovkva, Zolochiv and Pidhirtsi castles, etc.